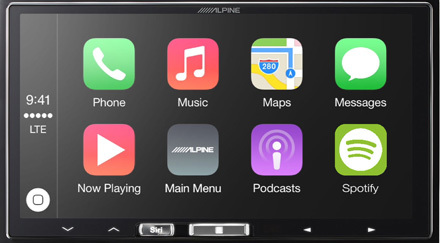 Alpine iLX-700 the perfect Apple Car Play Head Unit. 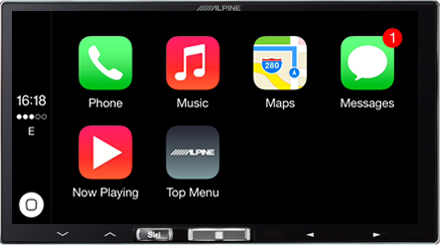 The innovative ALPINE iLX-700 In-Dash System with Apple CarPlay brings you a smarter way to use your iPhone on the road. 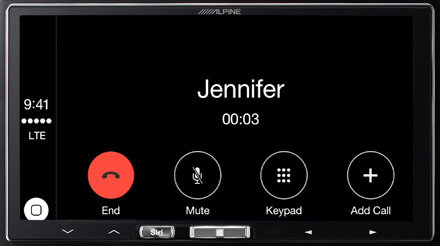 Apple CarPlay gives iPhone users an incredibly intuitive way to make calls, use Maps, and listen to music and access messages with just a word or a touch. 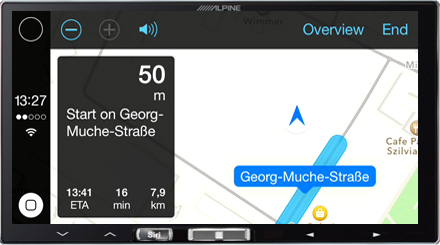 When Apple CarPlay is used on the Alpine iLX-700, users can control Apple CarPlay from the 7-inch high-resolution display or activate Siri for minimized distraction. 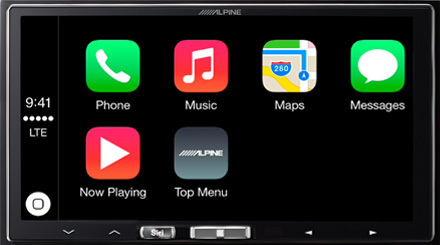 ALPINE iLX-700, iPhone and Apple Car Play — a brilliant combination. 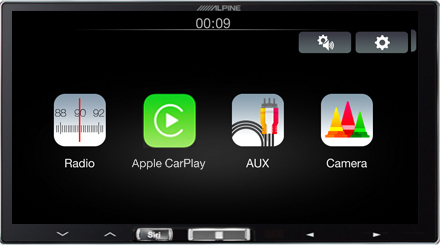 Apple Car Play offers a safe and intuitive way to use your iPhone in your car. 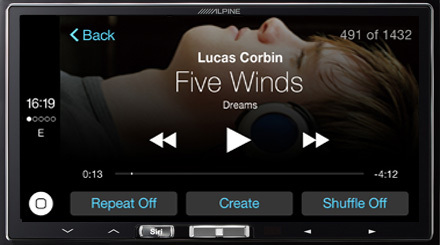 Simply connect your iPhone to the iLX-700 through the lightning connector and the Apple Car Play apps appear on your Alpine screen. 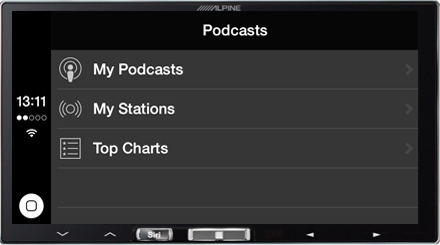 Additionally there are more Apple Car Play approved apps such as Podcasts, Spotify, internet radio and others – and the list keeps growing. 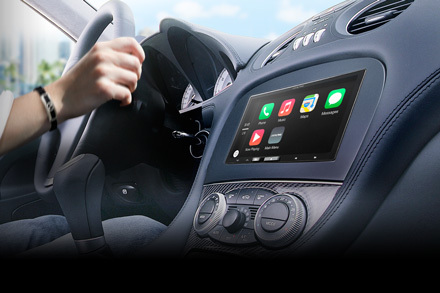 Apple Car Play allows you to use all these apps while keeping your eyes on the road. 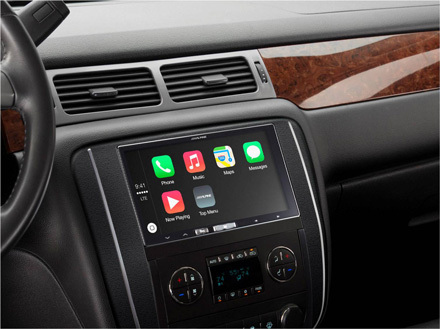 Apple Car Play seamlessly integrates with your iPhone for greater operating ease and functionality. 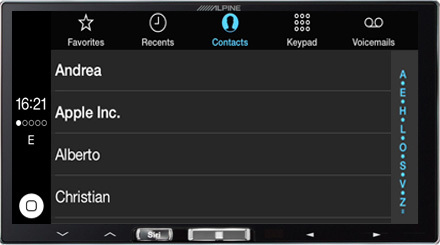 Use Siri to make calls, return missed calls and listen to voice mails, keeping your eyes on the road. 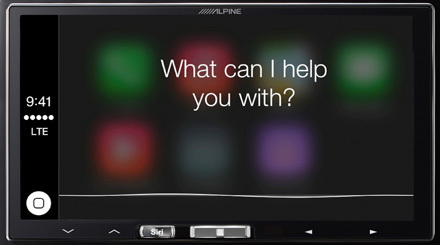 Wherever you go, let Apple Car Play show you the way. The utter simplicity of Apple Maps will guide you through turn-by-turn spoken directions, interactive 3-D views, traffic conditions and estimated travel time – all from your dashboard. And when you start to input an address, Apple Car Play will use various information to quickly predict the destination. 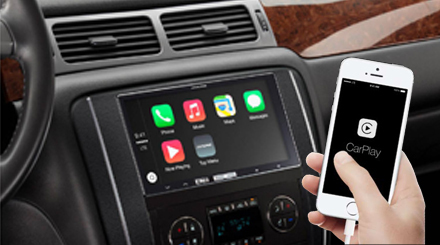 Additional Apple Car Play approved apps such as Spotify, Podcasts, Rdio and others can be downloaded from iTunes to your iPhone and will then appear on the Apple Car Play menu. 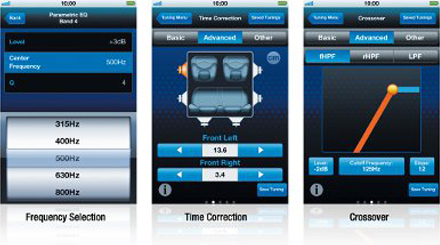 For more information and updates on third party apps supported by Apple Car Play, please visit the Apple Car Play website. 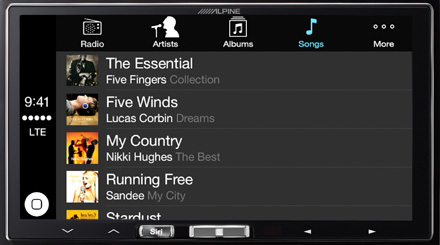 When connecting your iPhone there are four pre-installed Apple Car Play apps: Music, Phone, Maps and Messages. 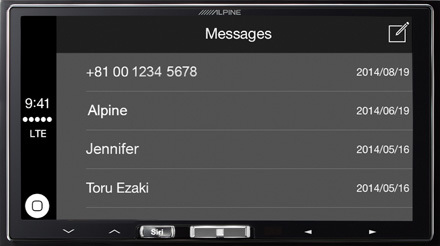 Enjoy a better way of text messaging with friends and family with Apple Car Play when you’re on the road. Through your voice commands, Siri can do all the heavy lifting by sending, reading and replying to your text messages so that you never have to glance at your phone while behind the wheel. 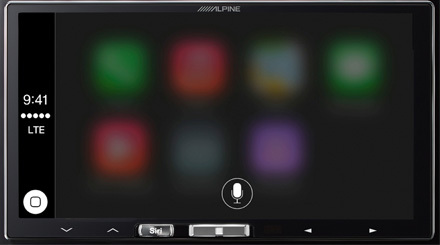 Apple Car Play uses Siri voice control specifically for driving scenarios. Tell Siri what you’d like to listen to and Siri will be on it. Want a text message read or sent? Siri has that handled. 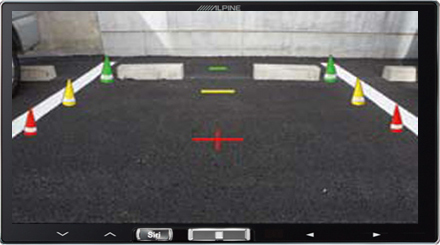 Have calls to take and return on the road? Siri is the perfect co-pilot for that. 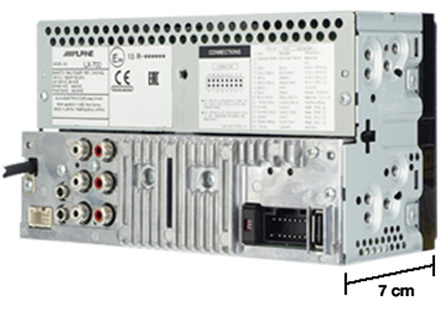 Siri can seamlessly be activated from the dedicated hard button on the iLX-700 and on your steering wheel controls (if applicable). 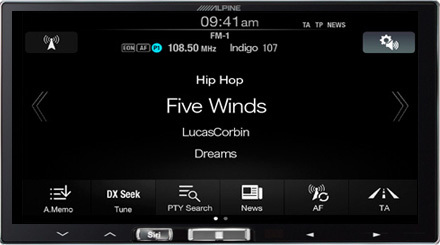 The Alpine iLX-700 features a beautiful edge-to-edge glass design that underlines the premium quality of the product. It seamlessly integrates into your car for a neat appearance. 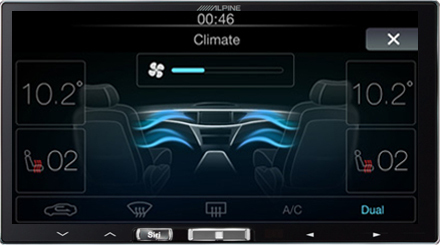 Many original factory head units have climate control and parking displays, which will be lost if the unit is removed. 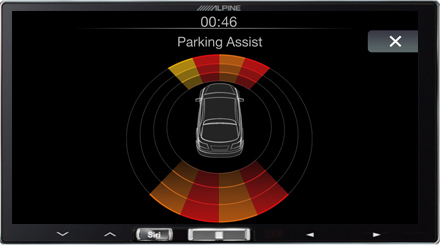 With the Alpine iLX-700, this is not a problem, as it supports Alpine interfaces that provide attractive graphic displays of climate control and parking information. 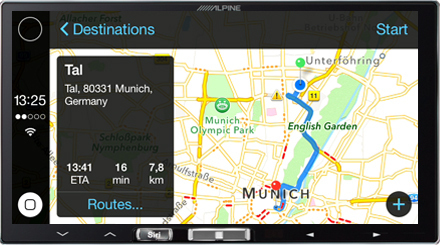 This ensures full integration of the Alpine system with the car for greater driving safety and convenience.